I know that there is a tradition in hoodoo of consulting a reader to learn about your future and also about what spells can help. My question is this -- are some forms of divination more favored by conjure practitioners than others? What are the typical ways that root doctors use to tell fortunes or uncover the truth? To answer your question about forms of divination from the perspective of hoodoo, these are the forms of divination i have been shown by African American spiritual workers from the 1960s to the present. I limit my reply to African Americans because, of course, cultural outsiders to the hoodoo community do bring in their own forms of fortune telling and divination, which are perfectly accepted by Black reading clients, but will not likely be engaged by Black root doctors. Hi everyone-I'm pretty new to hoodoo, and I am looking for divination methods. Thanks! 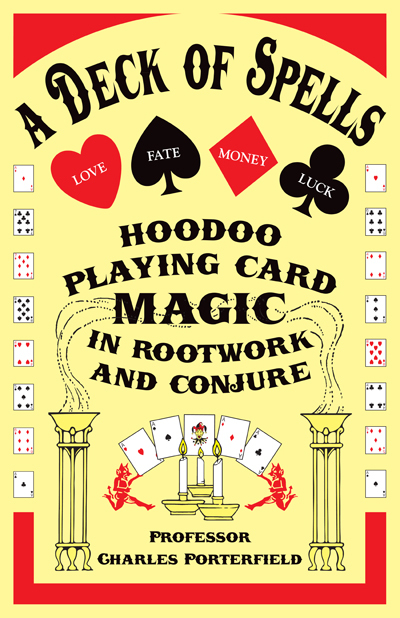 Divination was a can of worms that I opened when I started studying hoodoo. 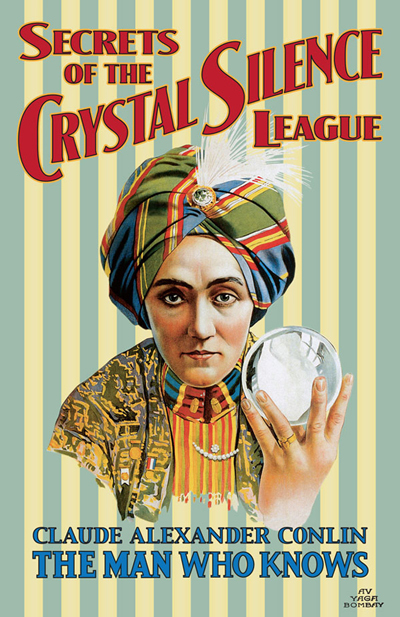 You will find just about any method of divination that you can think of practiced by somebody in this community. Was there any method in particular you were interested in, or any particular questions you had? So you really need to see what you may be good at. Or begin to look into what you may be interested in. Most people start out with tarot cards aka the Rider_waite deck and then venture off to other decks or even oracle cards. Not every one is good at all forms of divination so I would do some trial and error and see what may be good for you. You can read the info pages here from AIRR as well. I just did my very first divination with bibliomancy. It was fairly easy but I wasn't sure how it went. Could you please read this and give me your quick input? So first I did a quick prayer and asked for an answer to a question. So I opened the book 3 times and made a figure eight like the directions until I felt compelled to stop. This is what I got but I'm not sure what to think.. So he brings destruction ,but causes wars to end... I can't tell if I should look at this in the negative but I would really like to look at it as possible since he causes wars to END. I almost never stop a bibliomancy session after the first verse, unless it is much clearer than the one you got. It's worth asking your question again -- and posing the questions raised by each verse, if any. I use bibliomancy also. I agree with Miss Michaele; keep at it until you get an answer. I would suggest also studying the Bible to understand the verses better. Yes, do educate your intuition. Study the history and the cultures, and even the other sacred literature of the time that didn't make it into the Bible (seriously, they were weeding out the canon of Bible books as late as 400 AD). This will give you some idea of what phrases like "every man that pisseth against a wall" meant to those who said or heard them three or four thousand years ago. Say I want to check in with one of my spirits and ask if the work I do is pleasing. I open the Bible without looking, and land on -- for instance -- 2 Kings 3. My finger creeps unobserved to verse 17: "You shall not see wind or rain, but that stream-bed shall be filled with water, so that you shall drink, you, your cattle, and your beasts." Well, that is heartening and flattering! I could stop there, but I hoped to have that spirit's aid for a client, so I ask, "Why is my client's candle burning black, even though it is on your altar?" The answer is 2 Samuel 1:4: "The people have fled from the battle, and many of the people also have fallen and are dead; and Saul and his son Jonathan are also dead." Since this was banishing work, it sounds like victory. Well, then: is this background important to my client? Will she regret the work I'm doing for her? Isaiah 28: 6: "a spirit of justice to him who sits in judgment, and strength to those who turn back the battle at the gate." Haggai 2:19: "Is the seed yet in the barn? Do the vine, the fig tree, the pomegranate, and the olive tree still yield nothing [because autumn and harvest are still far off]? From this day on I will bless you." And that's one way bibliomancy is done. Hi baybee27, I had never heard of parrots for divination, how cool is that!? In some traditions animals can also be magical allies. This isn't a hoodoo belief, but it sounds like your little parrot is quite magical! Why not just pick a divination method you feel drawn to and try it out? You may also become proficient at more than one kind, like tarot and runes, or tarot and bones. Additionally, many readers use one type of divination for certain issues and another type of divination for another issue. emdeluxe, Mary Bee is right: experiment and stick by what works. I've invested a lot of time and power in mastering Tarot, which is one of the most popular divination methods. Others simply cannot wrap their heads around the amount of memorization required, so it's a good thing there is so much material about other methods! These days, I often recommend bibliomancy to folks who are looking for a divination method. 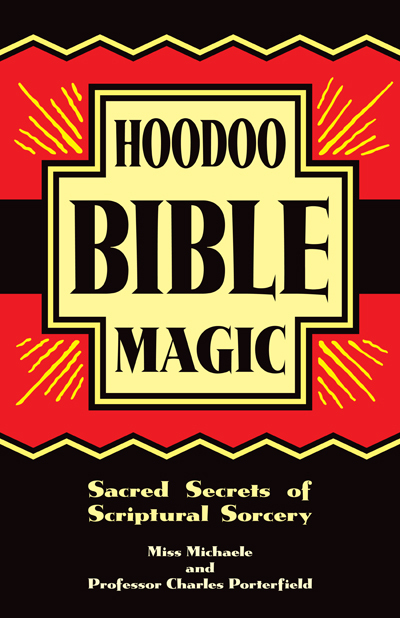 Missionary Independent Spiritual Church is proud to announce the publication of :Hoodoo Bible Magicc: Sacred Secrets of Scriptural Sorcery" by Miss Michaele and Professor Charles Porterfield. This book contains practical information on the topic of Bibliomancy. 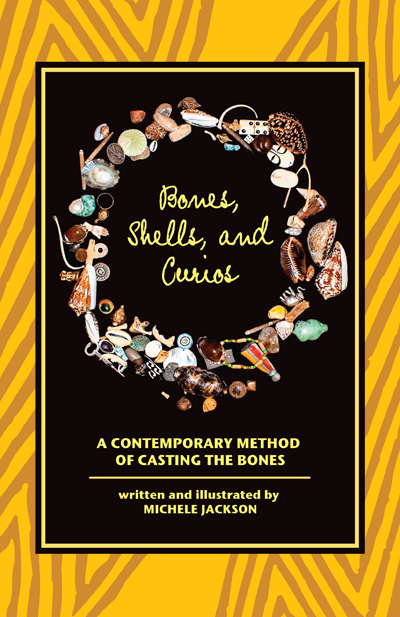 Michele Jackson's new book on bone reading, "Bones, Shells, and Curio: A Contemporary Method of Casting the Bones (Lucky Mojo, 2014) is now at the printer. Michele Jackson is the Lucky Mojo Forum member known here as mj2 -- and is a member of AIRR. Although I know a tiny bit about spells and such (not versed in Hoodoo....YET) I have been told by people that know me that I should add divination to my studies as well, as many feel I am naturally gifted at it. I do get sneak peaks of whats about to happen in my gut and I am correct a high percent of the time. The catch is I can't always control it. I cant turn it off and on. I cant be lied to and often see another's real agenda before it is revealed. What seems to be the easiest for you to do right now? What makes you feel the most comfortable? Well it started when I was age nine....I foretold the death of my father prior to his violent death in detail....it comes and it goes. I learned that stones and crystals and even candles or looking into the flames of a fire would sometimes bring about either visions in the mind's eye or just a visceral gut "knowing". I was from a very strict religious background that forbid any type of sight or magic as a sin and eventually even though almost an adult I was convinced to pray to rid myself of these gifts. Some spells and such I was taught in secret from my Great Grandmother as well as books and I was able to do them mainly on focusing intent and need for a change to manifest, etc. This type of magic was not wicca but different from Hoodoo and very steeped in Irish traditions, although I am American born. I never lost the ability to see through lies, however, to the chagrin of many. When I entered her parents home for the first time I immediately knew there were two things there....dark energy and a spell of some sort. I asked her about it she confirmed yes that they have been harmed several times. I told her the person doing this was a woman and very jealous and envious...again I was correct. I looked at a family picture album later and pointed right to the person out of a huge selection of people...I said there she is right there....and I was right. I know this is difficult, because I don't understand myself. I am looking closely at Hoodoo for my future endeavors as it seems to "line up" for me spiritually..I feel it is correct. However pendelums and tarot cards etc do make me nervous because I don't understand them and although I know Ihave done spirit work likely both consciously and unconsciously, it does make me nervous. Having said that I have cleaned houses and even objects for people to remove unwanted things. Her family is begging me to both uncross them and read tarot, etc. because they feel I have ability to do these things....I just don't know but have checked with non wiccan witches who claim I do...they had no money to gain and I sensed no lies in them...so...here I am...hoping? Basically there is a difference between ignorance and stupid. You cant fix stupid, but at this point I feel I am ignorant and possibly a push in the right direction will lead me to knowledge. If you have a gift for second sight, there is no need to fear it or feel nervous. A pendulum is just an amplifier of energies, making them visible. 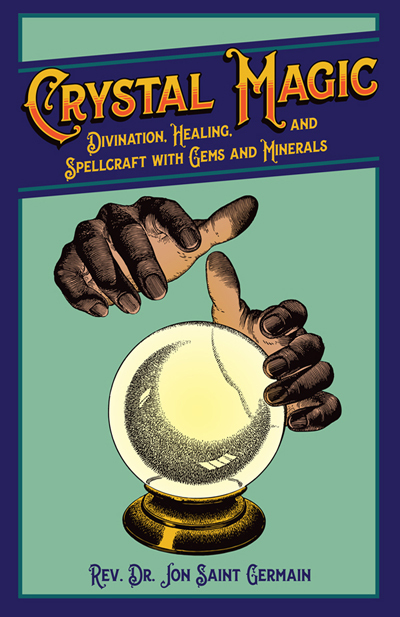 Do you want us to affirm that divination can be done clairvoyantly, clairaudiently, and clair sentiently, without the use of tools such as playing cards, pendulums, tea leaves, the Bible, bones, or palm-lines? If so, here you go. I affirm that. We do not give readings on the forum, but if your question is whether you personally are gifted, we would be very glad to read for you on that topic FOR FREE on the Lucky Mojo Hoodoo Rootwork Hour radio show. There is a weekly sign-up sheet in the forum here, and we take two callers per week. You could also pay for a reading, and there is a sub-forum with links to readers from AIRR, if that is what you want. A ten minute reading costs ten dollars from several of the readers, although not all offer that bargain service. Good luck, and if there is any other way we can be of help, just ask! Madame Pamita, ConjueMan Ali, and i gave two readings and some rootwork advice to Celt21 on the Lucky Mojo Hoodoo Rootwork Hour for March 8, 2015, and it proved to be very interesting. He is gifted, indeed, but there are asects of his gifts that are hard, in particular the ability to foretell deaths and disasters. We gave him some pointers and hope we have helped. You can hear the show in the Blog Talk Radio Archives. I want to thank you again Miss Cat and Madame Pamita and of course ConjureMan Ali (next time Ill try not to steal your reading lol)....you all helped more than you know...there were things you hit on that we didnt have time for the whole story but I have never had anyone be that accurate. You all have gifts and are skilled at using them. You gave me peace of mind, and that is one of the most valuable gifts anyone can give. I am much more relaxed about all of this and will continue down the road I was selected for. I have tried bibliomancy a few times to no avail; it left me confused about the response I was receiving from the verse. Tonight, I listened to an episode of The Now You Know Show in which Prof. Porterfield gave a very clear, simple technique for using the Bible as a divination tool, with a bit of insight about how to interpret the messages from the verses. I decided to give it a try, because I wanted to get confirmation that my spells are working and the man I love is going to break up with a woman who's clinging to him. I followed the exact method Prof. Porterfield gave on the show, making figure eights on the page I landed on, and when I opened my eyes, my finger was on 2 Kings 9:30 - Jezebel Killed! That message was as clear as day! Thanks, Prof. Porterfield! I gain so much knowledge from listening to your radio show, and you are hilarious ! I am not sure I am actually posting this question in the correct area, but I have never actually used a forum before... so here it goes. 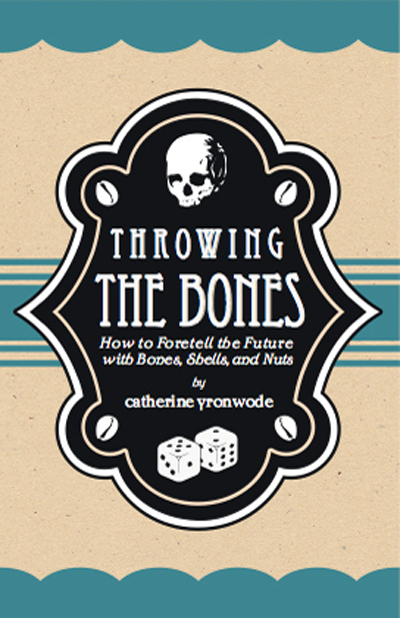 I have been reading Michele Jackson's book Bones, Shells, and Curios as a starter for learning to throw bones. In the book she talks about the importance of communication with your ancestors and using their spirits to help guide the readings. From what I can gather, I come from a long background of Roman catholics, who would not have necessarily supported my beliefs during their lifetime. How does one use their ancestors to help guide readings in those particular circumstances? When I call upon my Ancestors, I say: "I call upon my ancestors! I call upon my ancestors! I call upon my ancestors to please help me with this spell to do _______"
Let me clarify my question a little more. Is it acceptable to call upon my ancestors for use in hoodoo and divination work, considering it may have gone against their beliefs when they were alive. Or would asking them for assistance be considered disrespectful related to the beliefs they held prior to their deaths? Yes, I understood the question. If someone doesn't want to assist you with the spell, they won't come. Per the way that I asked you to call them, they will know. Is it disrespectful to them? Absolutely not. You're not calling on anyone in particular who would be offended. If you don't want to do that, then just call on your Spirit Guides and Guardian Angels. Oh yes! That totally makes sense. Thank you again. We just opened this book up for pre-orders. Note that it will ship in MID-MAY, 2019, and that if you plan on attending the 2019 Hoodoo Heritage Festival, a copy will be INCLUDED in your "goody-bag" upon admission to the event. Numbers are everywhere and all around us — but do you know what they mean and how to read them? 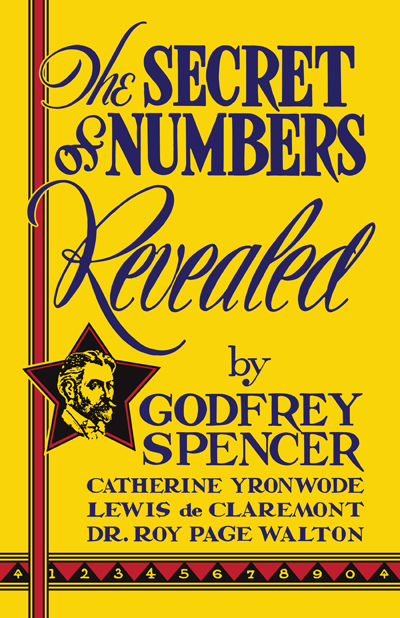 Based on material first written by Dr. Roy Page Walton in 1914, augmented with contributions by Lewis de Claremont and Godfrey Spencer in 1936, and doubled in scope under the editorship and authorship of Catherine Yronwode, this concise, illustrated introduction to the science of numerology will enable you to make your numbers work for you! Author Catherine Yronwode is the proprietor of the Lucky Mojo Curio Company, a manufactory for traditional herb-based conjure supplies, and the pastor of the Missionary Independent Spiritual Church. She is the author of Hoodoo Herb and Root Magic: Hoodoo in Theory and Practice; and Throwing the Bones: How to Foretell the Future with Bones, Shells, and Nuts. She lives on an old farmstead in rural Northern California with her husband, a dog, cats, and chickens.